Darren Matthews was gone—free, maybe—from East Texas that seemed to have a grip on so many who were unable, or afraid, to leave. Darren was in his third year of law school in Chicago, married to a fellow student, and ready to take on the world. But duty--his sense of it anyway, not his lawyer and professor Uncle Clayton’s, or his wife Lisa’s--called, and Darren returned to become a Texas Ranger, following in the footsteps of his Uncle William, the first Black Ranger. 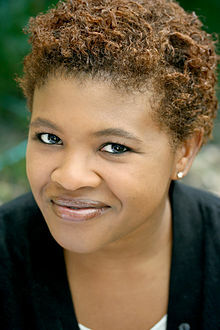 beginning of Bluebird, Bluebird, the fourth novel by Attica Locke, finds Darren suspended from the Rangers, separated from Lisa, and battling the demons of alcohol. But when a friend from the FBI calls and asks him to look into two deaths in nearby Shelby County, one of a black man and the second a white woman, Darren can’t resist. He’ll just look, see if they’re connected, maybe race related, and report to his friend. Too much effort could put what’s left of his career in jeopardy, but not looking into it could mean that the deaths could go uninvestigated, and Darren wouldn’t have that. His “looking into it” uncovers a town that seems not to have progressed in decades, and a possible stronghold for the Aryan Brotherhood of Texas. Were the deaths related? How deep are the ties of the ABT to local law enforcement? And how far will they all go to prevent Darren from finding the truth? Bluebird, Bluebird has something for most readers. A great crime to investigate; a Texas Ranger family legacy, complete with its blemishes; the story of a small East Texas town; and the roles of race in America, both today and over the lifetimes of many characters in this book. Some parts made me wish the book was set in 1917, not 2017, as there was clearly not enough progress in the 100-year interim. Locke, Attica. Bluebird, Bluebird, Mulholland Books, September 12, 2017. A copy of Bluebird, Bluebird was provided by the publisher via NetGalley.com. No compensation was provided for this review. Another page turner from Nelson DeMille! The Cuban Affair features a new character, Daniel 'Mac' McCormick, an Army vet escaped to Key West and running a heavily mortgaged fishing charter. 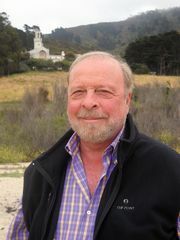 When he's approached by Cuban Americans interested in retrieving some cash and papers from the Old Country, he thinks maybe the adventure--more appropriately mission--could fill the void and need for adventure that he's been feeling. And pay off his boat. And maybe some extra cash. And his parter in this adventure, Sara Ortega, was motivating in her own right! The Cuban Affair is classic DeMille. A fun, witty, smart assed protagonist; a beautiful, confused, less than honest with Mac but honest in her cause partner; rich and colorful characters; and a peek into the unknown in descriptions and experiences in Cuba. While there's not a lot of new ground in the style or tone of this book, it is a fun and easy read that will keep you up at night to finish! DeMille, Nelson. 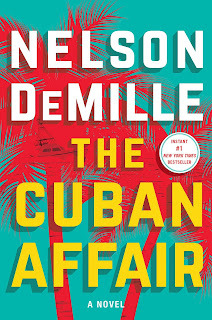 The Cuban Affair, Simon & Schuster, September 19, 2017. 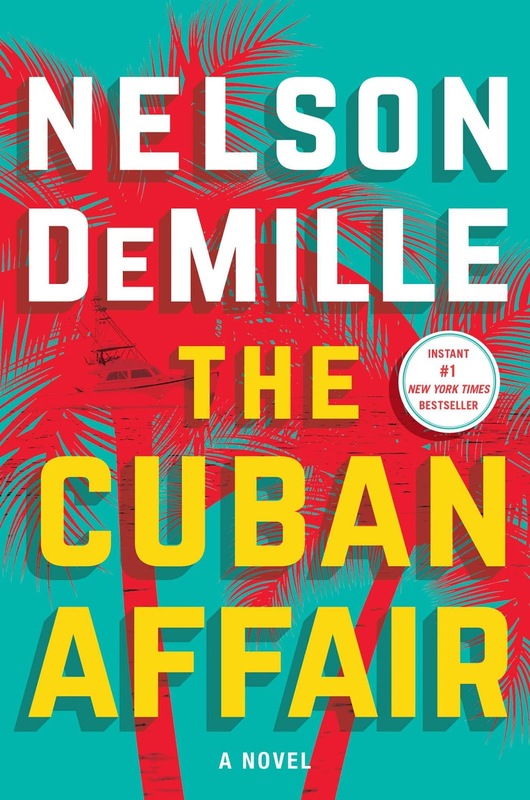 A copy of The Cuban Affair was provide by the publisher via NetGalley. No compensation was provided for this review.